Think for a moment about all the sources of information around you that vie for your visual, mental, emotional, and physical attention. You are fielding multiple stimuli on an ongoing basis. It’s no wonder that you are easily distracted, and find it difficult to focus sometimes. And within the realm of focus, there are many different levels for how you attend to things around you, and projects at hand, from the casual to the precise. To become an elite competitor in business, it is vital that you and your team learn the fine art of focus. Over the next four weeks, I will be presenting you with information on how to fine tune your ability to laser focus on your most important business tasks and Master the Fine Art of Business Focus. After all, what’s the point of doing the work in the first place if you aren’t striving for excellence? 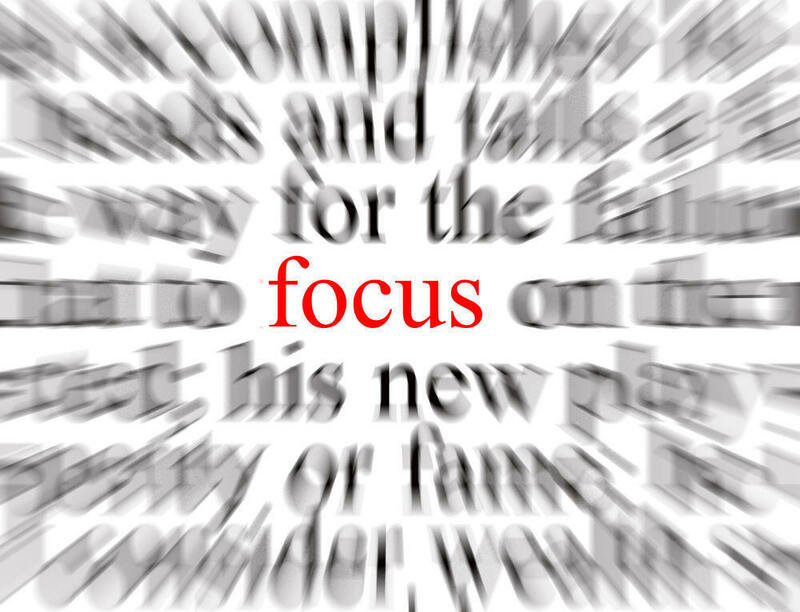 Today’s topic centers around understanding the Power of Focus. Your focus is like a camera lens. You can have it set to wide-angle to take in everything around you. You can also set it to zoom, or even macro when working on something that requires precision. Consider a neurosurgeon — if you had your head literally in her hands, which type of focus would you want her to have while working on you? Why should your approach to business be any different? You are never at the mercy of the stimuli around you — you choose to give those things your attention. Therefore, you have the power to center your focus at any time as well. The more you work on becoming a laser-focus expert, the easier it will be to maintain it, even under the most demanding circumstances. Leave me a comment and let me know what your biggest challenges are when it comes to focus. This entry was written by Dr. Shannon Reece, posted on January 4, 2012 at 9:30 am, filed under Tip of the Week and tagged business elite, business success, laser focus, power of focus, small business tips. Bookmark the permalink. Follow any comments here with the RSS feed for this post. Post a comment or leave a trackback: Trackback URL. Focus, or lack of, is always a subject we need to hear of more. Thank you for this series. Hope it is helpful for all who follow it. 🙂 Thanks for reading, and commenting Randy!